Home Front Climbing Frames have a modular design which means that the possibilities are nearly endless. 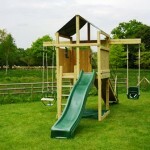 Home Front have been trading since 2002 and manufacture all their climbing frames in England. They use Southern Yellow Pine timber which has been sourced from sustainable North American forests. In addition, the timber has been pressure treated against rot and infestation. With so many combinations, the choice can be a little confusing at first, however, we are the Home Front experts and we are here to help you. 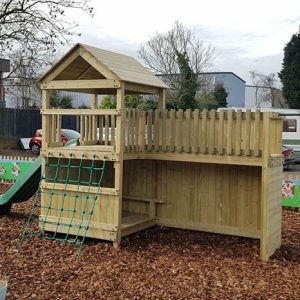 We have been supplying Home Front Climbing Frames since 2004, we are their largest retailer and we have completed the most installations. 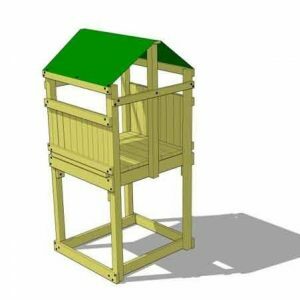 The Home Front Jungle Tower is one of our most popular pieces of play equipment. This price is for the tower only with a standard green vinyl roof. 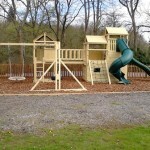 You can then add to, and customise your tower from a wide range of climbing, swinging and sliding accessories. The Home Front Mountain Tower is the largest in the range, with two decks at 2.1m and 1.5m high from the ground. These prices are for the tower only with two green vinyl roofs. 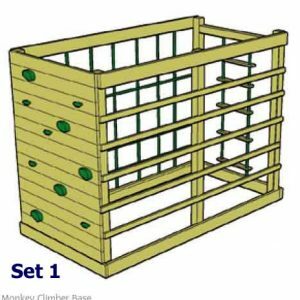 You can then add to, and customise your tower from a wide range of climbing, swinging and sliding accessories. 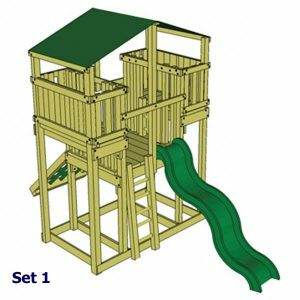 The Home Front Mountain Adventurer Sets are based around the tallest and largest tower with two decks at 1.5m (5’) and 2.1m (7’). 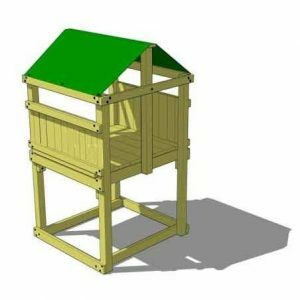 Based on the long-established Jungle and Mountain climbing frames, the Home Front Lunar Tower Range has three Decks to play on. Available in four standard configurations, simply select a ‘Design Option’ below for prices and photographs. Or contact us to configure your own Lunar Tower!